The Raigad fort is located in the Raigad district in the popular Indian state of Maharashtra. It is a hill fort. This hill fort was constructed by Raje Chandraraoji More of Jawli and later conquered by the great Indian king Chatrapati Shivaji who made it his capital in the year 1674 and eventually established the great & powerful Maratha Empire encircling it. 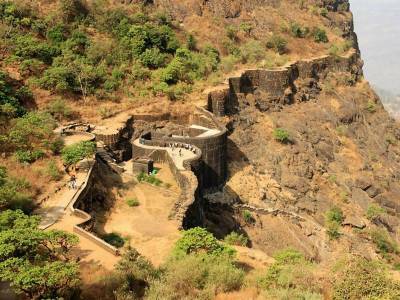 The fort is exactly situated in the Sahyadri mountain range and is 820m (2720 ft) above the sea level. Approximately there are 1737 steps leading to the fort. 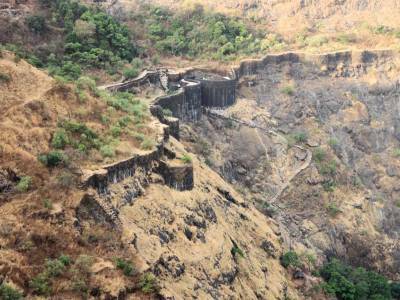 This Raigad fort was captured and looted by the colonial British rule in the year 1818. The fort was previously known as the fort of Rairi. It was Chatrapati Shivaji who went on to rename it as Raigad which means the King’s fort. The chief architecture behind the fort was a certain Hiroji Indulkar. 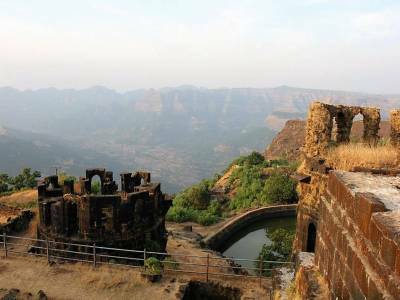 The Raigad hill fort is a strategically constructed one and an aesthetically appealing fort as well. There are numerous gateways to the fort like the Mena Darwaja, Nagarkhana Darwaja, Palkhi Darwaja and of course the Maha Darwaja which is actually the main entrance to the fort having a marvellous and gracious ambience. 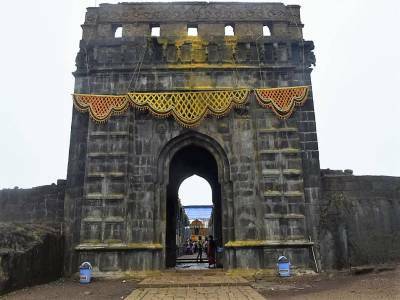 Although today what remains of the Raigad fort is nothing more than its ruins, however, it still goes on to reflect the aura of the spectacle of splendour and grandeur. The location of the Raigad fort is a favourable one from both the cities of Mumbai as well as Pune. The Raigad fort is a very well-maintained one. 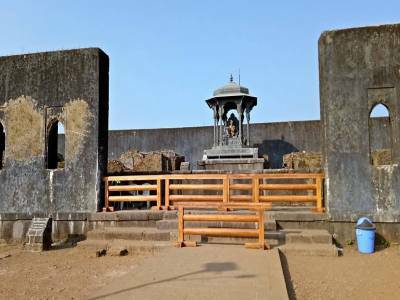 Get quick answers from travelers who visit to Raigad Fort.